FRANKFURT -- BMW AG stayed on course to remain the world's top-selling premium automaker after global sales of the company's core brand rose 9.3 percent to 128,446 units in September. The rise puts BMW ahead of competitors Audi, whose sales grew 17 percent to 120,200 in September and Mercedes-Benz, whose sales rose 2 percent to 120,982 in the same period. 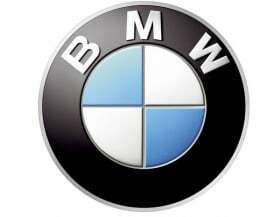 "At the end of the third quarter we find ourselves well on course to deliver our target of more than 1.6 million vehicles in 2011 and to remain the clear number one among premium manufacturers once again this year," BMW's head of sales Ian Robertson said in a statement Monday. Overall sales of BMW Group vehicles including the Mini and Rolls-Royce brands grew 16 percent in the first nine months of the year to 1.23 million units. In September, the group sold 159,214 vehicles, a rise of 11.4 percent. Sales of BMW's X3, X1 and 5-series models continued to help lift deliveries for the carmaker. Sales of the revamped X3 small SUV rose 260.6 percent to 11,345 units in September, while deliveries of the X1 rose 24.7 percent to 12,535 over the same period. The midsized 5 series sold 27,811 cars last month, a rise of 29.7 percent. In September, the group's Mini brand sold 30,387 cars, a rise of 20.5 percent. Deliveries were boosted in part by the success of the Mini Countryman, which has sold 76,000 units since its launch just over a year ago. Mini sales since January have increased by 24.1 percent to 208,216 units. The group's ultra-luxury brand Rolls-Royce grew sales 41 percent in the first nine months to 2,441 units. In the U.S., the company's biggest market, the BMW Group reported sales of 25,749 vehicles in September, 11.4 percent more than a year earlier. At home in Germany, BMW's second-biggest market, growth rebounded from stagnant summer sales figures, with deliveries rising 9.9 percent to 23,809 units in September. Sales in China, BMW's third-largest market, rose 20.9 percent in the same period to 18,588 deliveries. Since January, the BMW brand has sold 1.02 million cars, a rise of 14.5 percent over 2010 figures. Audi aims to overtake BMW as the most successful luxury automaker by 2015 and is targeting sales of 1.3 million cars this year. The automaker said Monday that its new-car sales rose 17.4 percent to 973,200 units in the first nine months. Sales of the Mercedes brand reached 919,288 units in the first nine months of the year, a rise of 7.6 percent.